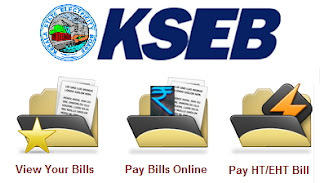 http://www.kseb.in is the official website of Kerala State Electricity Board (KSEB) where you can View or Download your Latest Electricity Bill, Pay your LT Bills, Pay HT/EHT Payments, Report Power Theft in your Locality etc. 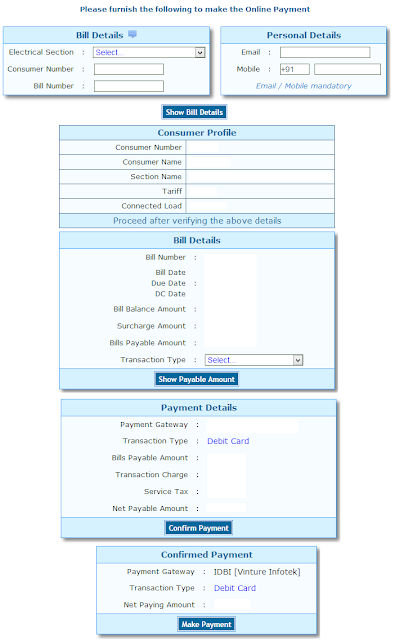 Services Provided: View Bills, Pay LT and HT / EHT Bills, Report Power Theft, View KSEB Orders etc. How to Pay Your Electricity Bill Online? How to Apply for a New Electricity Connection in Kerala? Submit the Application Form along with the documents in the Office. Thank You Very Much for the Online Bill Payment Service as i Can now make Payment without waiting Long Queues and There is always a Discount in the Bill Amount. This Discount is not available for Making payments in FRIENDS or AKSHAYA Centres. I used to get discounts while making payment at KSEB Offices.